If you're going to do well in F1, there are a few things to remember. One - it's probably not a cracking idea to have the hair of a Simpsons character. Two - it's always going to be tough joining a team who cheated and brought F1 into shame, and then do well. Three - driving into people on the first lap and just embarassing yourself is never a good way to make friends. These are three rather important rules, three rules that stood in the way of greatness for Romain Grosjean, and thankfully, three rules I finally believe he has overcome this past year. Romain Grosjean has had a fairly tumultuous time so far in the world of Formula 1. Fresh from the controversy of Nelson Piquet and Flavio Briatore's shameful scandal in Singapore, it would be fair to say to the man that he arrived rather unprepared back in 2009 with the team looking for a replacement as quickly as possible, before he was pushed aside for Robert Kubica and Vitaly Petrov the next year. His return into the sport brought much controversy in the sense that he often became a running joke for his distracted moments and unnecessary crashes leading to his own competitors worrying about his actions in F1. To call it a rollercoaster ride would be something - but I'm of the opinion that we finally see a mature, assured and worthy driver in Romain Grosjean. 2013 has so far very much felt like the year that has defined a man who has seemingly spent his career fighting off critics as well as drivers. It was Mark Webber who famously dubbed Grosjean as 'the first lap nutcase', and it was hard to argue - he had first lap incidents in most of his races and of course even got banned from a Grand Prix back at Monza too. Yet I still find it fascinating that, as 2013 has progressed, we now see Lotus having a driver that is surprisingly reliable, very fast on a good day and, in a total contrast to 2012, seemingly assured in his decision making within races. It's easy to throw words about but the man's become an impressive part of the grid. His initial foray into Formula 1 was underwhelming to say the least, with a clearly unprepared youngster who was thrown in at the deep end of a team in turmoil. Boullier has taken the ranks over his sleazy predecessor at Renault, but it was either blind faith at the time or a quick fill to try and resolve an emergency following Nelson Piquet Jr's dismissal from the team. Several very low place finishes in an already average car didn't help his stock in Formula 1. It's quite something he managed to get a drive back at a fairly well placed team following this but clearly Éric Boullier hadn't lost faith in the Frenchman following his return in 2012. During these years away from F1, there has to be some kind of argument that Grosjean's return to lower level series and closed wheel racing no doubt allowed him to mature. His initial return to the sport showed a huge difference to how he left; qualifying third in his first race back in F1 and a podium finish in Bahrain surprised a fair amount of people who looked back at his previous stint with many doubts - myself included. Unfortunately, the comeback didn't stay successful as it doesn't take much to remember what Grosjean was most remembered for in 2012. His race ban after the horrific crash that resulted from his clumsiness at Spa could have easily led to another early departure from the sport he had so soon returned to. 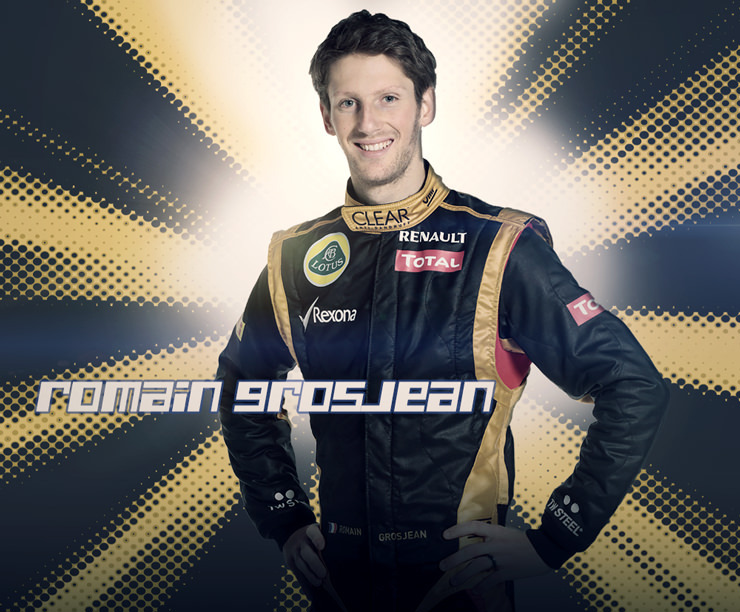 However, now we have a new Grosjean - and what a difference it is. Éric Boullier was absolutely correct to keep Romain on over the winter and allow him to justify why he deserved a seat in F1 going into 2013, as this season has been a revelation for the Frenchman who has clearly had his best year in F1 (which, admittedly, isn't saying much). Grosjean has proved throughout this season that, with his head in the right place and his focus not on the criticism circling him as per 2012, he can be fast, consistent and brilliantly reliable to bring the car home in one piece. Every little thing that brought his performance down in 2012 seems to have become a thing of the past and, with various podiums under his belt and even opportunities at getting pole position in qualifying, instead we now see a man who has become accepted into the 'gang' as an F1 driver. Even Mark Webber's admitted the pleasing change he sees in Grosjean and he's not an easy man to please. He's driven some quite strong races, putting together the whole weekend, which is a sign of a driver starting to get a bit more relaxed and confident. A lot less mistakes, not just in races but in practice too. Where was the big turn around for the man whom I only really remembered as Sideshow Bob from his first stint at Renault in 2009? Well, considering how much went wrong in 2012, a winter of focusing on his position in not only the team but the sport of F1 is where I feel Romain really had a chance to get his head together and take his standard forwards onto a new level. Many things went wrong in 2012 and there was a constant focus on the accidents he'd involved himself in yet the race ban he was given from Spa proved how serious change was needed in his approach and how he really needed to settle down. The winter went by, Grosjean's seat was confirmed for 2013, and immediately from Australia onwards we saw a man much more focused and improved. Grosjean has even found himself outperforming Kimi on a number of occasions and that's no mean feat against a man who holds the record for consecutive point finishes in F1. Of course, there are still the odd old glimpse of 'classic' Grosjean here and there. You got the feeling at Monaco this year that Grosjean was going to either win it or bin it as he seemed to be totally on the edge. A number of crashes during the sessions and a clumsy crash during the race provided a glimpse that there were still traits of that old style that he's tried so desperately to shake off. Yet I don't feel like I can sit here and criticise the man for how impressive he has been 9 times out of 10 this season. When Grosjean first came into F1 into the Creme Egg-livery Renault back in 2009 he seemed like a joke. Granted, Piquet Jr wasn't exactly the most mind-blowing of drivers but Grosjean seemed bad. His return to F1 came as a bit of a joke to me because of this and his performances last season didn't improve my opinion of the man. Yet here I sit at the end of 2013 expressing with you how impressed I am with him and how consistently fast he now seems. Yes, Lotus have a solid car, but a good car doesn't necessarily mean a good driver. It takes just as much skill to take it to the top and throughout 2013 it has felt that Grosjean has been desperate to get to the top and prove his worth. His seat in 2014 has yet to be confirmed but I can't see why Lotus would want to drop him with such a solid season behind him. Boullier has remained faithful to the charming, smiley Frenchman numerous times and has tried his best to guide him amongst a sea of doubt and negativity being washed towards his driver and yet they've come out the other side the bigger men. It's hard to not catch onto his enthusiastic smile and his willingness to improve, and for that, with every past criticism of the man I have had there is a wish for him to succeed and take himself onto his first win. Lotus' rumoured team for next season is to pair him up with Nico Hülkenburg - again, I don't think I need to tell you how exciting that would be if it happens. Regardless, Grosjean has the luck to sit back at the end of Brazil and pat himself on the back for how much progress I hope he has seen in himself. Well, if it's anything, he's won me over. I just used to like his silly hair. Now it turns out he's actually really rather good. Funny how times change.